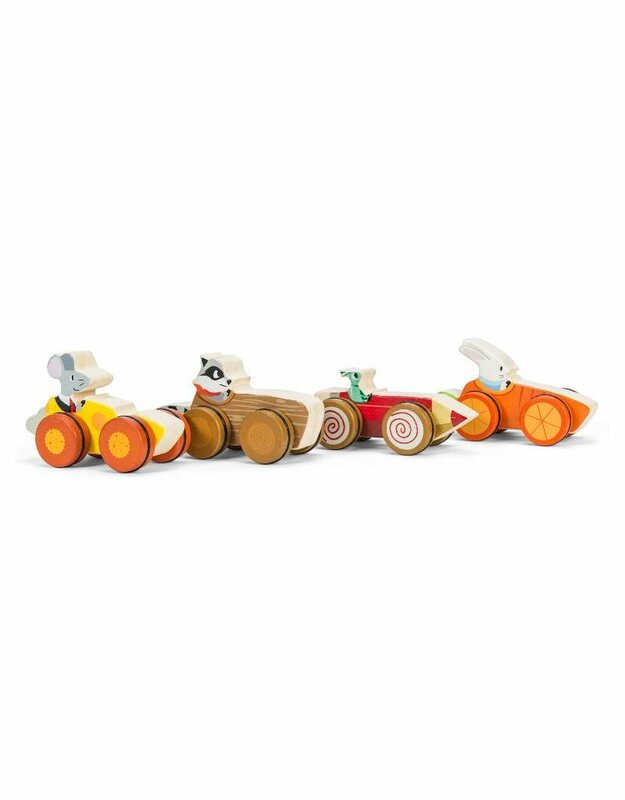 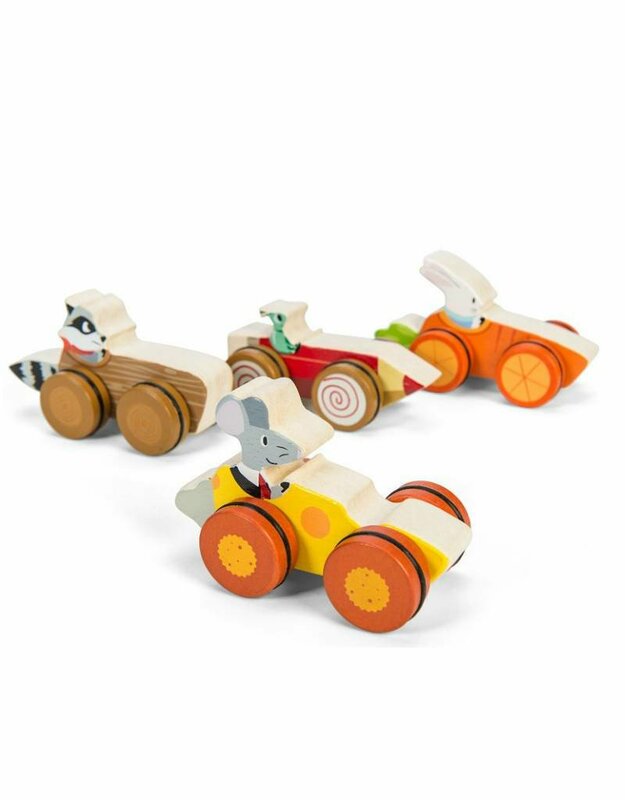 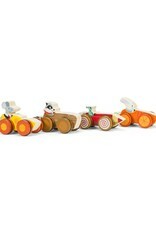 A lot of fun in sight with these adorable wooden cars made by the company of England Le Toy Van! 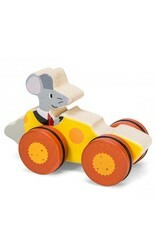 The wheels are made of rubber, tested safely for children over 12 months. 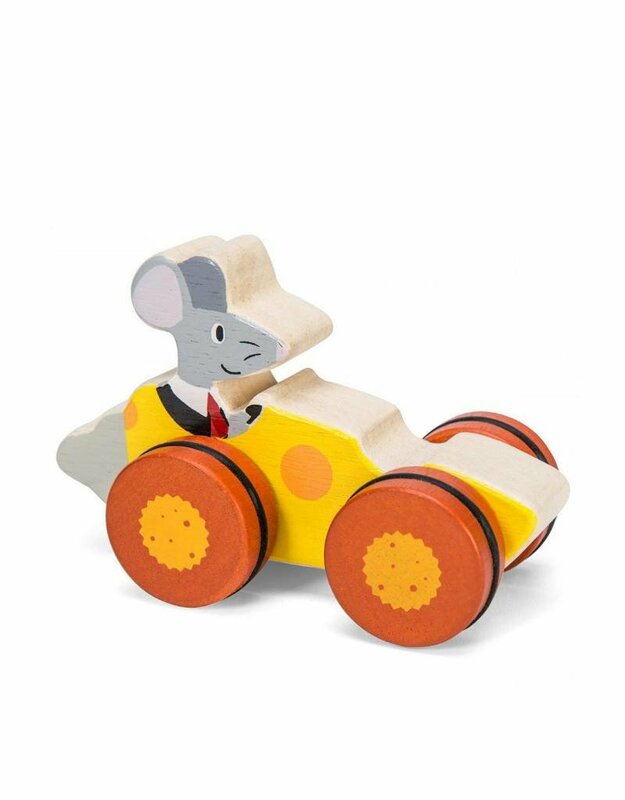 Choose from a rabbit that drives a carrot, a woodworm that drives a pencil, a mouse driving a slice of cheese and a raccoon driving a branch.